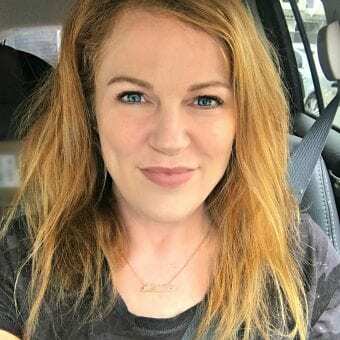 This Equate Omeprazole Orally Disintegrating Tablets at Walmart#DissolveHeartburnWMT post is sponsored by Mirum, but opinions expressed are my own. For years I have suffered from heartburn and honestly I just figured it was something that I needed to live with. I wasn't sure what to do about that burning in my throat after I ate certain foods but I still wanted to eat those foods. At first I had no idea what was happening and it took me several years to go to the doctor to actually be checked out. After that, I took Prilosec but I quickly realized it is pretty pricy. 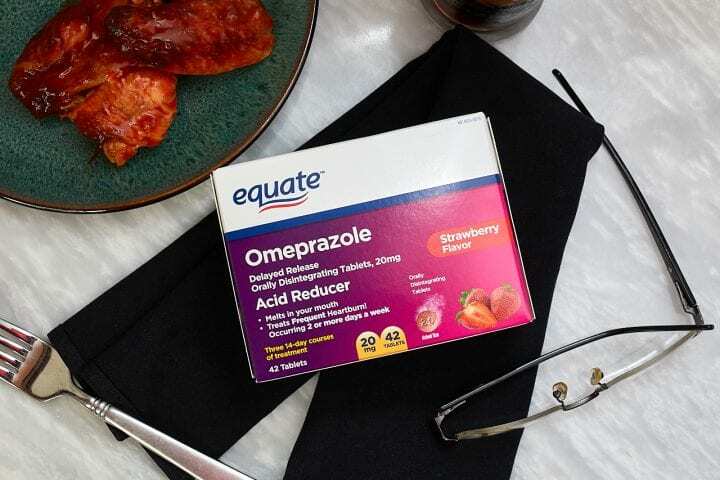 I just discovered the Equate Omeprazole Orally Disintegrating Tablet (also referred to as ODT) and not only are these tablets dissolvable, the price is also right and they fit right into my routine because I can take them with me anywhere! 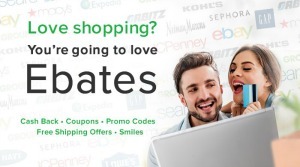 We hope that you enjoy this Equate Omeprazole Orally Disintegrating Tablets at Walmart post. 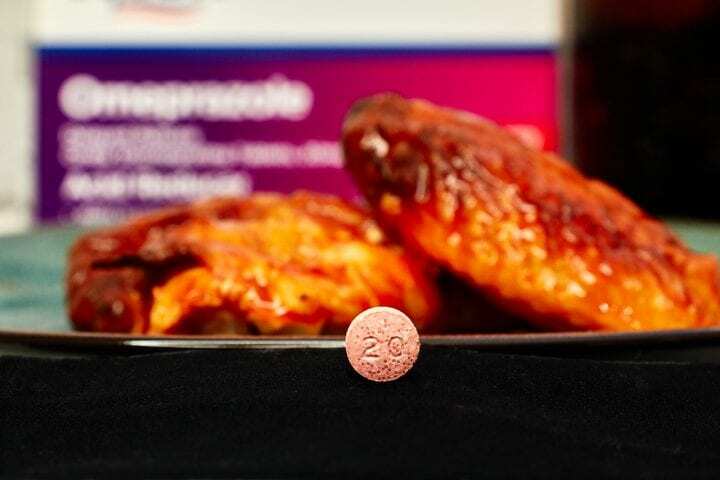 For frequent heartburn sufferers, swallowing a pill can be annoying and some people just can't swallow pills at all. This melt in your mouth tablet goes down easier and makes taking your medicine a breeze! Although this is not an immediate solution for heartburn, I started feeling relief within 1-4 days after I started the 14 day regimen. While it treats the exact symptoms as Prilosec OTC, it comes in a much more convenient form. 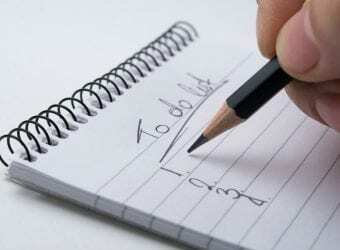 I no longer have to miss out on activities or my favorite foods. 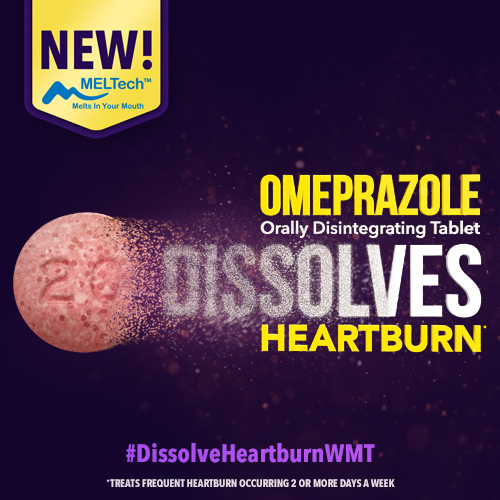 Omeprazole ODT is a brand new innovation for treating frequent heartburn. When taken daily for up to 14 days, it can provide long-lasting relief from heartburn, for up to 24 hours and their MELTech formula allows the tablet to dissolve on your tongue easily. Due to its long-lasting protection, this tablet is an ideal choice for frequent heartburn sufferers. 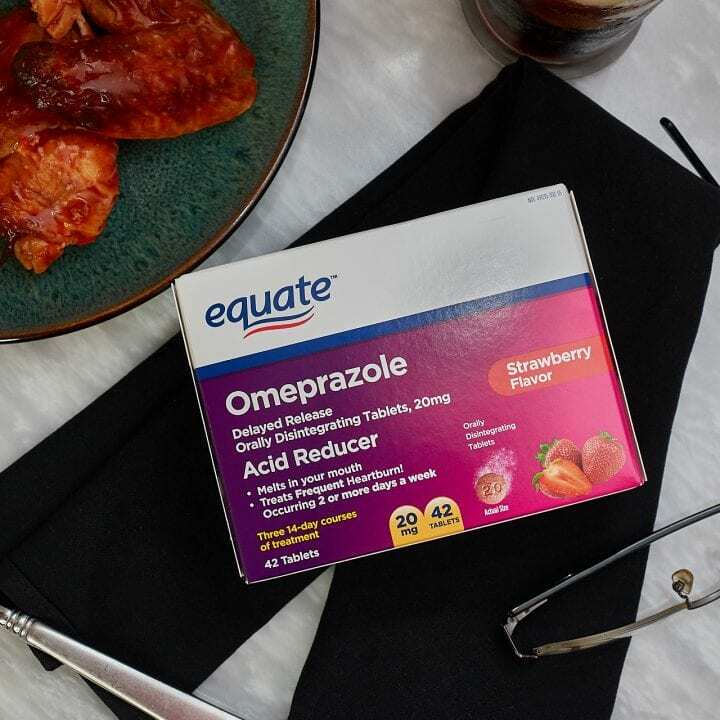 Equate Omeprazole ODT is affordable and it's offered in a strawberry flavor that tastes great. 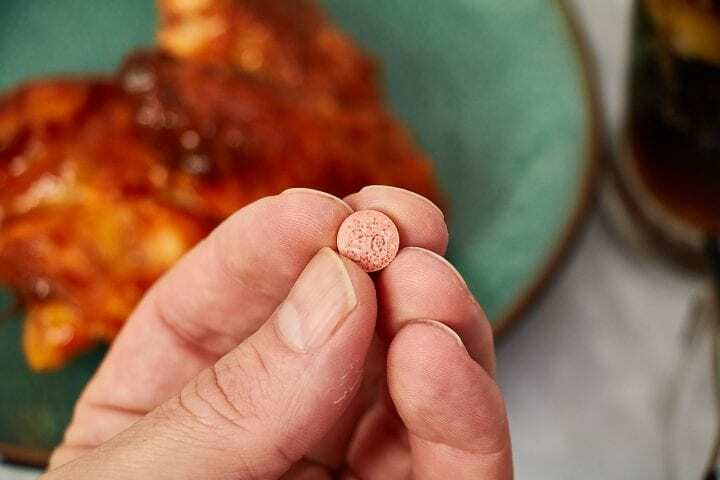 It treats the same symptoms as the Omeprazole currently available at Walmart but in an easily accessible dissolving tablet that provides lasting heartburn relief. No water needed. Take it on the go anywhere! Dosage: 1 dose taken every 24 hours for 14 days. PLEASE NOTE: You should not take Omeprazole Orally Disintegrating Tablet for more than 14 days unless directed by your doctor. 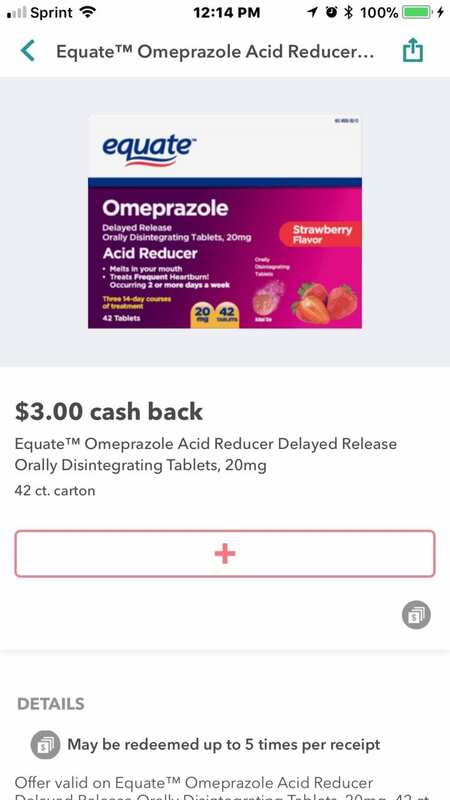 As an Ibotta lover and avid user of the app, I am super excited to announce that you can get $3 off Equate Omeprazole ODT; 42-count. This offer is valid April 4, 2018 through April 30, 2018. If you suffer from heartburn head to Walmart today and make things easier on yourself with these dissolving heartburn tablets. 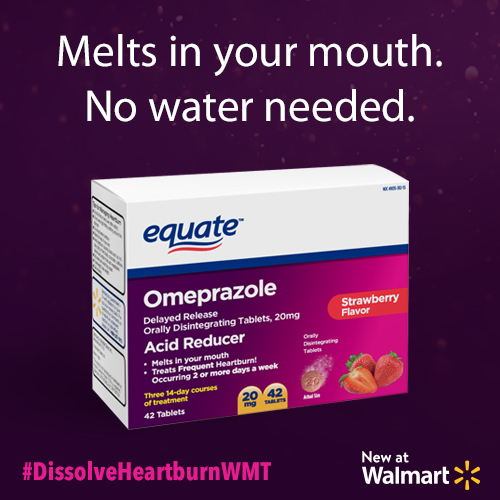 We hope that you enjoyed this Equate Omeprazole Orally Disintegrating Tablets at Walmart #DissolveHeartburnWMT post. My fiance’ takes Prilosec and you are so right. It is expensive. I hadn’t heard about these before now. Thanks for the review. I am going to get him some of these! Wow…strawberry flavor. With a taste like fruit, I think I can take it like a man!! I’m such a wimp when it comes to taking meds. that don’t taste good. That is such a nice offer on a medication that is a real saver for a lot of people. I will let all my family who have heartburn know about this pill at Walmart. We make it a point to keep antacids on hand. You never know when you’ll need them! Walmart brand products I’ve found are just as good as name brand, and I’ll bet this is no different. Equate makes a wide variety of products, comparable to their name brand counterpart. Having a good acid reducer that will stretch your dollars on hand is a good idea. I like this from the flavor option. Some acid reducers have such a crappy taste, making it difficult to take. That’s exciting news to hear that Walmart now has their own brand of omeprazole. Prilosec is expensive, so it’s nice to know that I can head to Walmart and get the same relief for a lot less! I love spicy food, but my enjoyment always comes at a price. It’s nice to know affordable relief is just a Walmart away. OK I think I definitely need to try some of these, I get awful heartburn sometimes and I have to admit I put of using anything as they can taste nasty and cost lots! But this sounds like it might be different. That is such a great offer on a medication! I will let all my familyand friends who have heartburn know about this offer at Walmart! Oh wow I have to try this. I have the worst acid reflux! 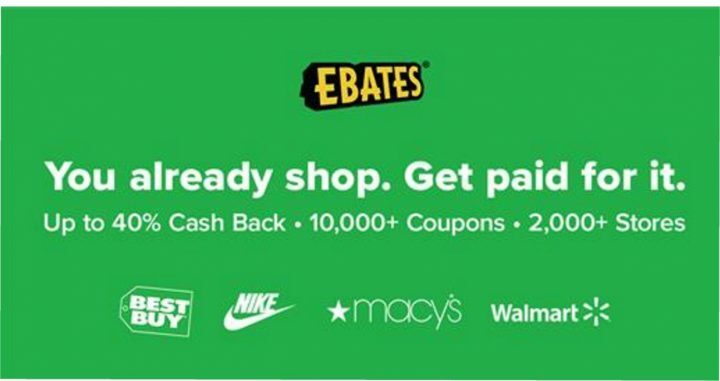 I am saving this and heading to Walmart today! Great deal, thanks for sharing! I buy these for my husband. They really work well and he is always happy with them. Taking an OTC acid reducer that’s non-name brand makes sense from a money-saving perspective. Equate’s medicines are just as good as the name brand stuff, at a fraction of the cost. These are the exact same pills I take for my heart burn. They work SO well! When I was going through gallbladder issues I had bad reflux. This would have been helpful to have. I had no idea this existed! I may need to check out the OTC acid reducer you just mentioned because I am sure I can get it at our Walmart and I love their prices. I’ve only just started having issues to take meds like this. I’ve tried a couple of different products but I’d like to try this one. I buy a lot of equate products because they are less expensive so I’m familiar with the brand even though not the product. I always buy the Equate version of over the counter meds. I have this one in the counter right now! My mom is taking Omeprazole every day for more than 3 years now. She constantly has acid reflux to the point that she burps hard every minute and she’s been in this pain for more than 5 years. She has been to a lot of doctors and medical test and until now, they can’t find out what’s really wrong with her condition. I love Equate products as they are so much less expensive than their peers. 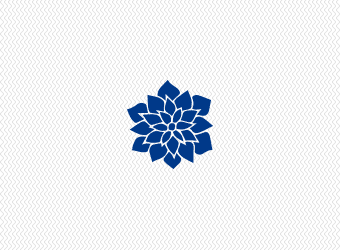 I love the mlting tablets. I have tried them for other meds and I find that they are usually in my system faster. This stuff is pretty fantastic. It has helped me in the past and believe it or not, my dog was also prescribed this at one point. I had the WORST heartburn when I was pregnant. I would have loved to have known about these then! We always choose Equate over other brands because it is less expensive yet it offers the same quality as other brands. I will have to grab this just in case I get heartburn. This sounds like a really convenient way to deal with heartburn. I love that it has a yummy flavor, too! The older I get, the more I need something like this. I am so thankful for acid relief!